Posted on March 23rd, 2011 in Strange Attractors. No Comments. 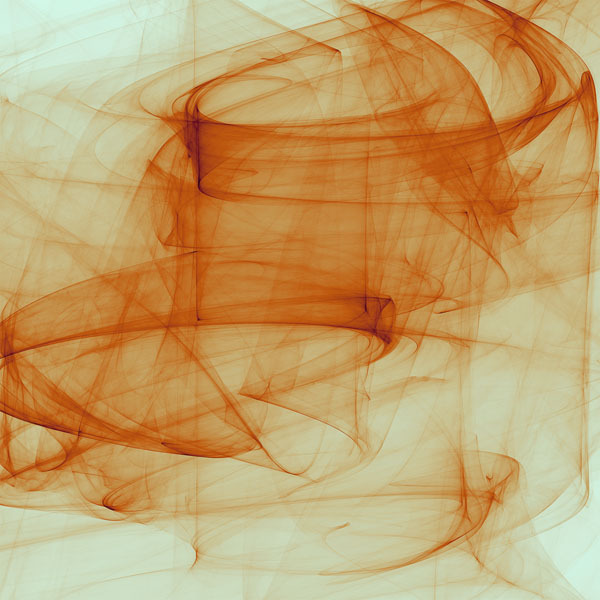 A dance of a billion particles—abstract forms of bright rusty orange swirl over a cyan background, perhaps mimicking smoke, liquid in suspension, or sheer fabric. 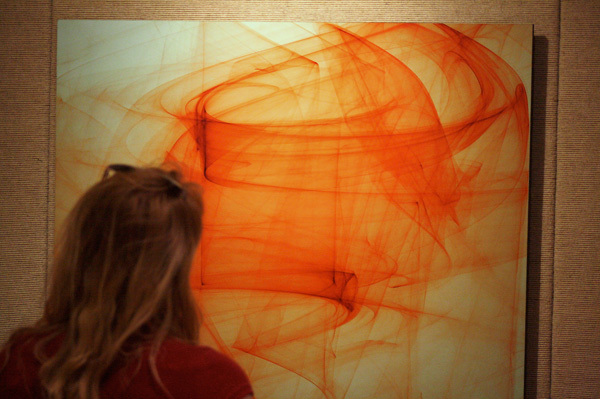 One of the strongest images from my BFA exhibition’s 4×4 grid of strange attractors, Dance has become one of my favorite artworks, and usually hangs in our living room. In 2008 it won second place at Palm Beach State College’s Photography & Digital Imagery Exhibition, and indirectly led to my first solo exhibition at that same gallery. Dance by Nathan Selikoff. Variable size open edition print. 2004.